Hi there! I'm here to warn you, the Negaverse is back and wants to take control of sims' world! But don't worry, the greatest heroine is back to destroy them! 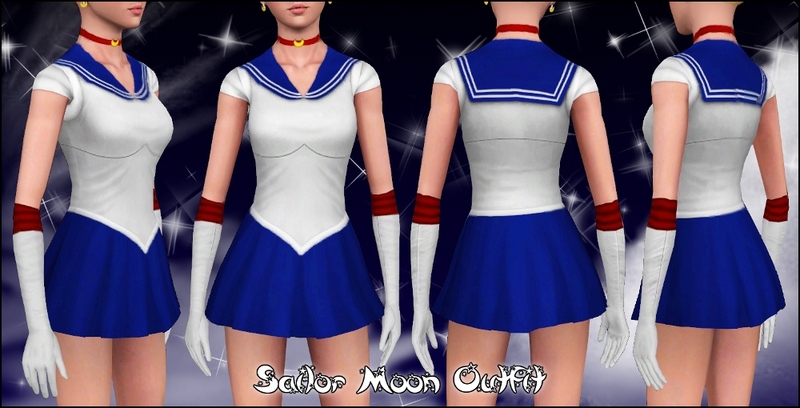 The pretty sailor suited soldier Sailor Moon! In the name of the moon I will punish you! This set includes: SM Outfit, SM Earrings, SM Tiara, SM Headdress and SM boots. 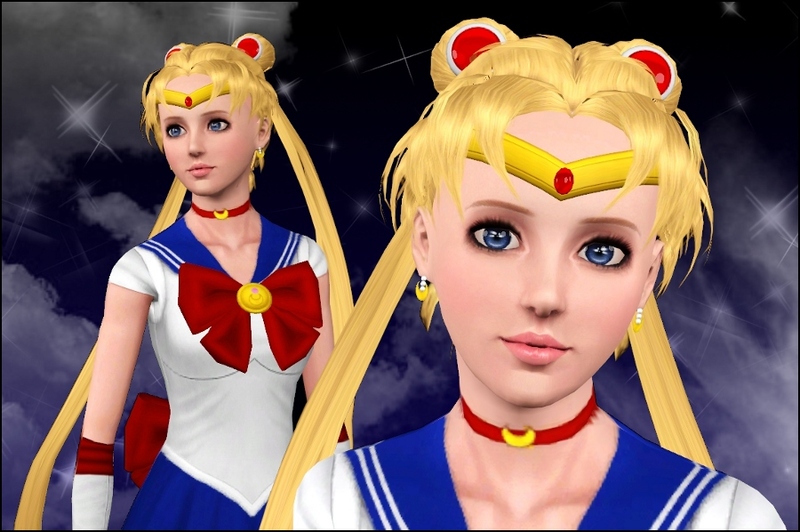 It also contains a couple of extra accessories: Super Sailor Moon Earrings and Headdress. And now, here are detailed descriptions of each accessory. Can be found under all clothing categories, for young adults and adults only. 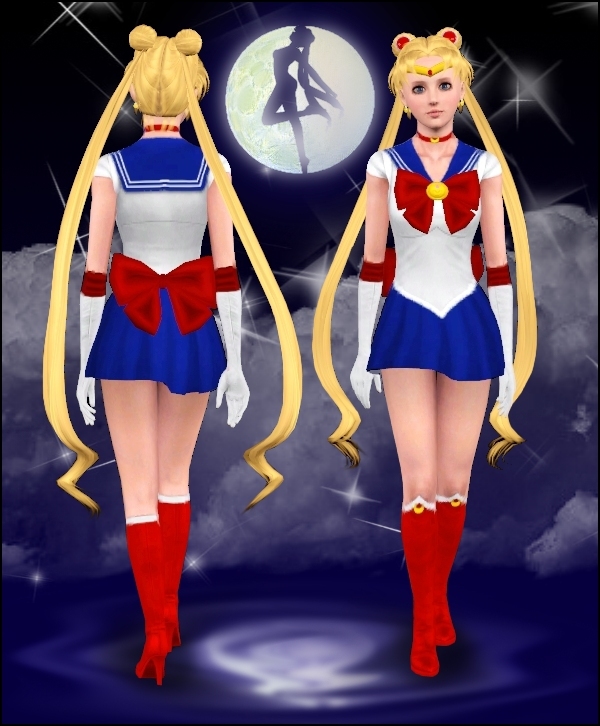 It has 4 channels: Body & Gloves, Skirt & Cap, Necklace & Gloves details, and necklace's moon. Bows are NOT attached to the outfit. NOTE: All the accessories can be found under all clothing categories, for teens, young adults, adults and elders. 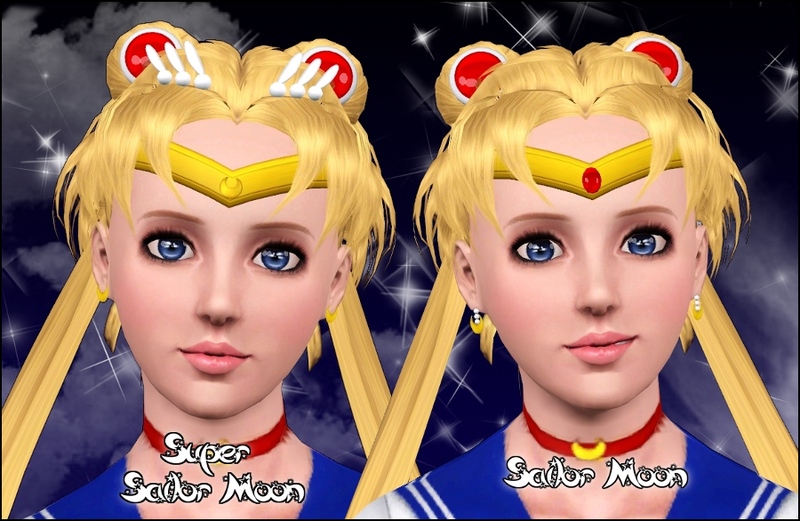 Sailor Moon Tiara: Can be found under glasses, it has two channels: tiara and gem. The gem uses "Simeyes" shader to get a shine effect. Sailor Moon Earrings: Can be found under earrings, they have two channels: pearls and moon. Super Sailor Moon Tiara: Can be found under glasses, it has one channel. Super Sailor Moon Earrings: Can be found under earrings, they have one channel. 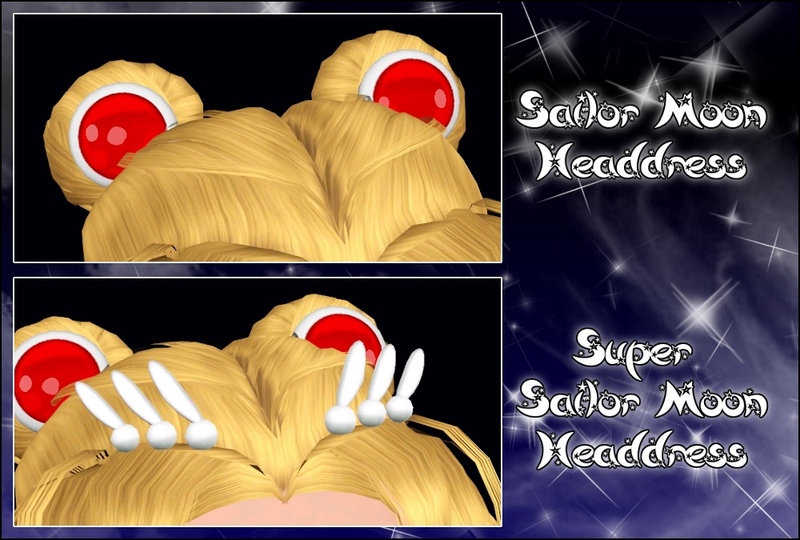 Sailor Moon Headdress: Can be found under socks, it has two channels. It uses "Simeyes" shader to get a shine effect. 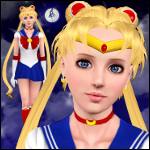 Super Sailor Moon Headdress: Can be found under bracelets and all clothing categories, it has one channel. Sailor Moon Ribbons: Can be found under gloves, they have 4 channels: front bow, back bow, clasp and pearl. 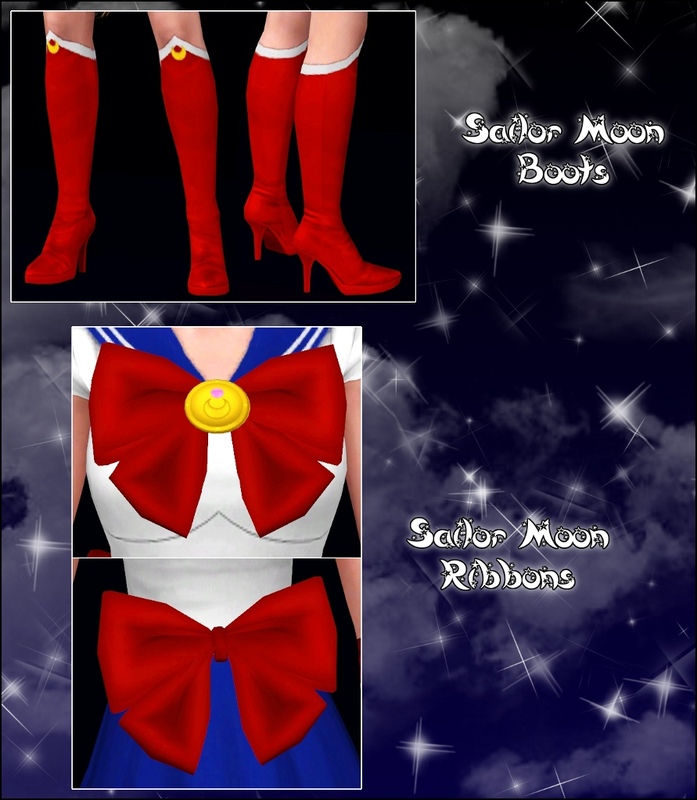 Sailor Moon Boots: Can be found under shoes, they have 3 channels: boot, border and moon. You CAN'T re-upload or redistribute this set in other sites or with sims. Just link back here. You can use it for movies, pics, histories, etc. as long as you don't claim these as your own.